Product prices and availability are accurate as of 2019-04-06 14:54:00 EDT and are subject to change. Any price and availability information displayed on http://www.amazon.com/ at the time of purchase will apply to the purchase of this product. 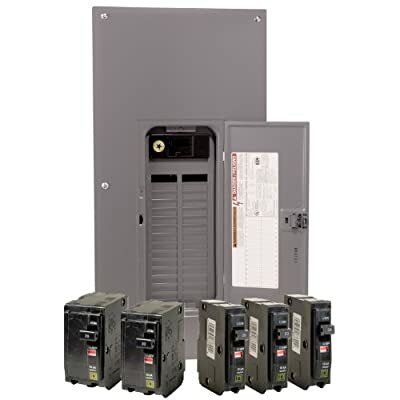 The Square D QO 200 Amp 30-Space 40-Circuit Convertible Main Breaker Indoor Load Center Value Pack is UL listed for residential, commercial and industrial power distribution. This load center is built with a shielded, copper bus bar that is plated for reliability. QO load centers are tested and listed only for QO circuit breakers. QO load centers are the "World's Finest" designed with industry leading features for flexible application. QO load centers include features engineered for fast installation and wire savings. This load center comes with a factory-installed 200 Amp Main Breaker.